In this research, the effect of case-based laboratory practices of Analytical Chemistry Laboratory course on ‘Acid-Bases Titrations’ topic on the academic achievement of students was examined. This study was conducted with the 2nd year students (N=78) of the Science Teaching Program of a university in Izmir in the fall semester of 2014-2015 academic year. The study was pre-test and post-test control group research design. The results showed that there was a significant difference between the post-test academic achievement scores in favor of the experimental group. The results of the structured interview form also showed that the majority of the students had positive opinions concerning the case study and the material. •	Abraham, M.R., Grzybowski, E.B., Renner, J.W., and Marek, E.A., (1992). Understandings and Misunderstandings of Eighth Graders of Five Chemistry Concepts Found in Textbooks. Journal of Research in Science Teaching, 29(2):105-120. •	Alkan, F., (2016). Experiential Learning: Its Effects on Achievement and Scientific Process Skills. Journal of Turkish Science Education, 13(2):15-26. •	Arlı, M. and Nazik, H., (2010). 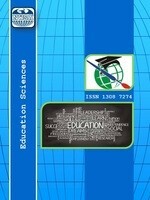 Introduction to Scientific Research, 4th ed., Ankara: Gazi Kitabevi. •	Artdej, R., Ratanaroutai, T., Coll, R.K., and Thongpanchang, T., (2010). Thai Grade 11 Students’ Alternative Conceptions for Acid-Base Chemistry. Research in Science & Technological Education, 28(2):167-183. •	Bakeman, R. and Gottman, J.M., (1997). Observing Interaction: Introduction Sequential Analysis, 2nd ed. Cambridge: Cambridge University Press. •	Bayrak, K.B. and Bayram, H., (2011). Effects of Problem-Based Learning in a Web Environment on Conceptual Understanding: The Subject of Acids and Bases. International Online Journal of Educational Sciences, 3(3):831-848. •	Bridle, H., Morton, J., Cameron, P., Desmulliez, M.P.Y., and Kersaudy-Kerhoas, M., (2016). Design of Problem-Based Learning Activities in the Field of Microfluidics for 12- to 13-year old Participants-Small Plumbing! : Empowering the Next Generation of Microfluidic Engineers. Microfluidics and Nanofluidics, 20(103):1-11. •	Buyukozturk, S., Cakmak, E.K., Akgun, O.E., Karadeniz, S., and Demirel, F., (2012). Scientific Research Methods, 13th ed. Ankara: Pegem Akademi Yayınları. •	Cam, A. and Geban, O., (2017). Effectiveness of Case-Based Learning Instruction on Pre-Service Teachers’ Chemistry Motivation and Attitudes toward Chemistry. Research in Science & Technological Education, 35(1):74-87. •	Cancela, A., Maceiras, R., Sanchez, A., Izquierdo, M., and Urrejola, S., (2016). Use of Learning Miniprojects in a Chemistry Laboratory for Engineering. European Journal of Engineering Education, 41(1):23-33. •	Cetingul, I. and Geban, O., (2011). Using Conceptual Change Texts with Analogies for Misconceptions in Acids and Bases. Hacettepe University Journal of Education, 41, 112-123. •	Cohen, J., Cohen, P., West, S.G., and Aiken, L.S., (2003). Applied Multiple Regression/Correlation Analysis for the Behavioral Sciences, 3rd ed. U.S.A.: Lawrence Erlbaum Associations. •	Cohen, L., Manion, L., and Morrison, K., (2011). Research Methods in Education, 7th ed. London and New York: Routledge Taylor & Francis Group. •	Crippen, K.J., Boyer, T.H., Korolev, M., de Torres, T., Brucat, P.J., and Wu, Chang-Yu., (2016). Research and Teaching: Transforming Discussion in General Chemistry with Authentic Experiences for Engineering Students. Journal of College Science Teaching, 45(5):75-83. •	Croll, P., (1986). Systematic Classroom Observation. London: The Famier Press. •	Dori, Y.J. and Sasson, I., (2008). Chemical Understanding and Graphing Skills in an Honors Case-Based Computerized Chemistry Laboratory Environment: The Value of Bidirectional Visual and Textual Representations. Journal of Research in Science Teaching, 45(2):219-250. •	Ekici, D.I., (2016). Examination of Pre-Service Science Teachers’ Activities Using Problem Based Learning Method. Educational Research and Reviews, 11(1):37-47. •	Figueiredo, M., Esteves, L., Neves, J., and Vicente, H., (2016). A Data Mining Approach to Study the Impact of the Methodology Followed in Chemistry Lab Classes on the Weight Attributed by the Students to the Lab Work on Learning and Motivation. Chemistry Education Research and Practice, 17(1):156-171. •	Fisher, R.A., (1915). Frequency Distribution of the Values of the Correlation Coefficient in Samples from an Indefinitely Large Population. Biometrika, 10(4):507-521. •	Flynn, A.B. and Biggs, R., (2012). The Development and Implementation of a Problem-Based Learning Format in Fourth-Year Undergraduate Synthetic Organic and Medicinal Chemistry Laboratory Course. Journal of Chemical Education, 89(1):52-57. •	Flynn, A.E. and Klein, J.D., (2001). The Influence of Discussion Groups in a Case-Based Learning Environment. Educational Technology Research and Development, 49(3):71-86. •	Gunduz, T., (2008). Qualitative Analysis Textbook, 8th ed. Ankara: Gazi Kitabevi. •	Harman, T., Bertrand, B., Greer, A., Pettus, A., Jennings, J., Wall-Bassett, E., and Babatunde, O.T., (2015). Case-Based Learning Facilitates Critical Thinking in Undergraduate Nutrition Education: Students Describe the Big Picture. Journal of the Academy of Nutrition and Dietetics, 115(3):378-388. •	Hoe, K.Y. and Subramaniam, R., (2016). On the Prevalence of Alternative Conceptions on Acid-Base Chemistry among Secondary Students: Insights from Cognitive and Confidence Measures. Chemistry Education Research and Practice, 17(2):263-282. •	Hofstein, A., Shore, R., and Kipnis, M., (2004). Providing High School Chemistry Students with Opportunities to Develop Learning Skills in an Inquiry-type Laboratory: A Case Study. International Journal of Science Education, 26(1):47-62. •	Jansson, S., Söderström, H., Andersson, P.L., and Nording, M.L., (2015). Implementation of Problem-Based Learning in Environmental Chemistry. Journal of Chemical Education, 92(12):2080-2086. •	Kala, N., Yaman, F., and Ayas, A., (2013). The Effectiveness of Predict-Observe-Explain Technique in Probing Students’ Understanding about Acid-Base Chemistry: A Case for the Concepts of pH, pOH, and Strength. International Journal of Science and Mathematics Education, 11(3):555-574. •	Karpudewan, M., Roth, W.M., and Sinniah, D., (2016). The Role of Green Chemistry Activities in Fostering Secondary School Students’ Understanding of Acid-Base Concepts and Argumentation Skills. Chemistry Education Research and Practice, 17(4):893-901. •	Kartal, T., Kayacan, K., and Selvi, M., (2013). Examining the Awareness Levels of Scientific Attitudes and Metacognitive Learning Strategies of Preservice Teachers from the Point of Multiple Variables. The Journal of Academic Social Science Studies, 6(1):913-939. •	Kelly, O.C. and Finlayson, O.E., (2007). Providing Solutions through Problem-Based Learning for the Undergraduate 1st Year Chemistry Laboratory. Chemistry Education Research and Practice, 8(3):347-361. •	Koo, C.L., Demps, E.L., Farris, C., Bowman, J.D., Panahi, L., and Boyle, P., (2016). Instructional Design and Assessment: Impact of Flipped Classroom Design on Students Performance and Perceptions in a Pharmacotherapy Course. American Journal of Pharmaceutical Education, 80(2):1-9. •	Kotluk, N. and Yayla, A., (2016). Developing Test on Modern Physics Based on Bloom’s Revised Taxonomy: A Study of Validity and Reliability. Yüzüncü Yıl Üniversitesi Eğitim Fakültesi Dergisi [YYU Journal of Education Faculty], 13(1):213-231. •	Lei, J.H., Guo, Y.J., Chen, Z., Qui, Y.Y., Gong, G.Z., and He, Y., (2016). Problem/Case-Based Learning with Competition Introduced in Severe Infection Education: An Exploratory Study. Springerplus, 5(1), 1821. •	Marks, R. and Eilks, I., (2010). Research-Based Development of a Lesson Plan on Shower Gels and Musk Fragrances Following a Socio-Critical and Problem-Oriented Approach to Chemistry Teaching. Chemistry Education Research and Practice, 11(2), 129-141. •	Miri, B., David, B.C., and Uri, Z., (2007). Purposely Teaching for the Promotion of Higher-Order Thinking Skills: A Case of Critical Thinking. Research in Science Education, 37(4), 353-369. •	Mutlu, A. and Sesen, B.A., (2016). Evaluating of Pre-Service Science Teachers’ Understanding of General Chemistry Concepts by Using Two Tier Diagnostic Test. Journal of Baltic Science Education, 15(1), 79-96. •	Nakhleh, M.B., (1994). Chemical Education Research in the Laboratory Environment: How Can Research Uncover What Students Are Learning?. Journal of Chemical Education, 71(3), 201-205. •	Nakiboglu, C., (2001). The Teaching of the Nature of Matter to Chemistry Prospective Teachers by Using Cooperative Learning: Effect on Achievement of Student. Gazi University Journal of Gazi Educational Faculty, 21(3), 131-143. •	Nyachwaya, J.M., (2016). General Chemistry Students’ Conceptual Understanding and Language Fluency: Acid-Base Neutralization and Conductometry. Chemistry Education Research and Practice, 17(3), 509-522. •	Overton, T.L. and Randles, C.A., (2015). Beyond Problem-Based Learning: Using Dynamic PBL in Chemistry. Chemistry Education Research and Practice, 16(2), 251-259. •	Pınarbası, T., (2007). Turkish Undergraduate Students’ Misconceptions on Acids and Bases. Journal of Baltic Science Education, 6(1), 23-34. •	Ramstedt, M., Hedlund, T., Björn, E., Fick, J., and Jahnke, I., (2016). Rethinking Chemistry in Higher Education towards Technology-Enhanced Problem-Based Learning. Education Inquiry, 7(2), 115-135. •	Rand, D., Yennie, C.J., Lynch, P., Lowry, G., Budarz, J., Zhu, W., and Wang, Li-Qiong, (2016). Development and Implementation of a Simple, Engaging Acid Rain Neutralization Experiment and Corresponding Animated Instructional Video for Introductory Chemistry Students. Journal of Chemical Education, 93(4), 722-728. •	Reddy, I.K., (2000). Implementation of Pharmaceutics Course in a Large Class through Active Learning Using Quick-Thinks and Case-Based Learning (Galley). American Journal of Pharmaceutical Education, 64(4), 348-355. •	Reigosa, C. and Maria-Pilar, J.A., (2007). Scaffolded Problem-Solving in the Physics and Chemistry Laboratory: Difficulties Hindering Students’ Assumption and Responsibility. International Journal of Science Education, 12(4), 434-442. •	Sandi-Urena, S., Cooper, M.M., Gatlin, T.A., and Bhattacharyya, G., (2011). Students’ Experience in a General Chemistry Cooperative Problem Based Laboratory. Chemistry Education Research and Practice, 12(4), 434-442. •	Schwartz-Bloom, R.D. and Halpin, M.J., (2003). Integrating Pharmacology Topics in High School Biology and Chemistry Classes Improves Performance. Journal of Research in Science Teaching, 40(9), 922-938. •	Sheppard, K., (2006). High School Students’ Understanding of Titrations and Related Acid-Base Phenomena. Chemistry Education Research and Practice, 7(1), 32-45. •	Skoog, D.A., Holler, F.J., and West, D.M., (1996). Fundamentals of Analytical Chemistry, 7th ed. Orlanda, Florida, U.S.A.: Saunders College Publications. •	Stephenson, N.S. and Sadler-McKnight, N.P., (2016). Developing Critical Thinking Skills Using the Science Writing Heuristic in the Chemistry Laboratory. Chemistry Education Research and Practice, 17(1), 72-79. •	Taber, K.S., (2012). Ethical Considerations of Chemistry Education Research Involving ‘Human Subjects’. Chemistry Education Research and Practice, 15(2), 109-113. •	Tanık, N. and Saracoglu, S., (2011). Analysis of the Exam Questions for the Science and Technology Course Based on Revised Bloom’s Taxonomy. TUBAV Bilim Dergisi [TUBAV Science Journal], 4(4), 235-246. •	Taylor, A.T.S., Olofson, E.L., and Novak, W.R.P., (2017). Enhancing Student Retention of Prerequisite Knowledge through Pre-Class Activities and In-Class Reinforcement. Biochemistry and Molecular Biology Education, 45(2), 97-104. •	Temel, S., (2014). The Effects of Problem-Based Learning on Pre-Service Teachers’ Critical Thinking Dispositions and Perceptions of Problem-Solving Ability. South African Journal of Education, 34(1), 1-20. •	Windle, R.J., McCormick, D., Dandrea, J., and Wharrad, H., (2011). The Characteristics of Reusable Learning Objects that Enhance Learning: A Case-Study in Health-Science Education. British Journal of Educational Technology, 42(5), 811-823. •	Yoon, H., Woo, A.J., Treagust, D., and Chandrasegaran, A.L., (2014). The Efficacy of Problem-Based Learning in an Analytical Laboratory Course for Pre-Service Chemistry Teachers. International Journal of Science Education, 36(1), 79-102. ISNAD GÜNTER, Tuğçe , KILINÇ ALPAT, Sibel , ÖZBAYRAK AZMAN, Özge . "IMPLEMENTATION OF CASE-BASED LEARNING (CBL) METHOD IN ANALYTICAL CHEMISTRY LABORATORY COURSE". Education Sciences 14 / 1 (January 2019): 17-34.